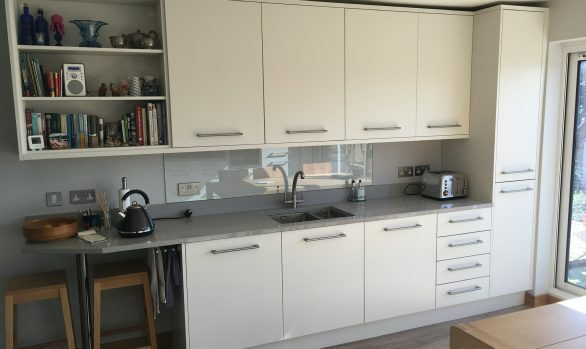 After visiting multiple kitchen showrooms and shops and spending a lot of time browsing kitchen websites, we decided to go ahead with our kitchen purchase at The Kitchen Workshop. 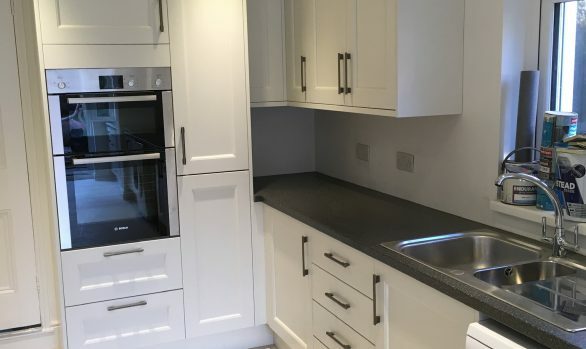 For us, the key factor was a kitchen that was of a high quality, as this was for a house which we intend to stay in for many years to come. Before we visited The Kitchen Workshop, we spent quite a lot of time using their website to gain some knowledge about the types of kitchens available and the products that they sold. 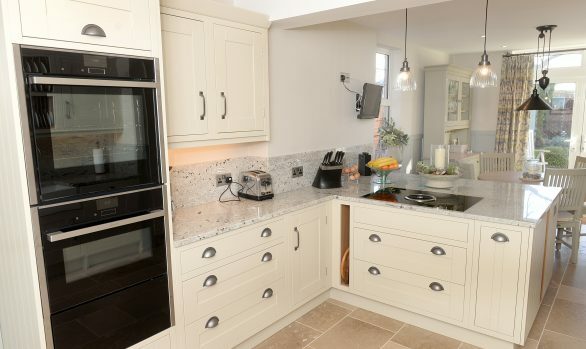 Their website had a lot of information about what to expect when buying a kitchen, which we found very useful. We were warmly welcomed at their showroom and given space and time to browse without being hassled, but when we did need to talk to a member of staff, their designer Chris looked after us. He spent a lot of time explaining the best and most suitable type of product for us — factoring in that, as a family with young children, we wanted something quite durable. We brought in our mood board and borrowed samples to help us choose the right doors and worktops. We spent around eight weeks deciding what we wanted — during this time we visited their showroom frequently to look at various aspects and check details for the extension we were having built. 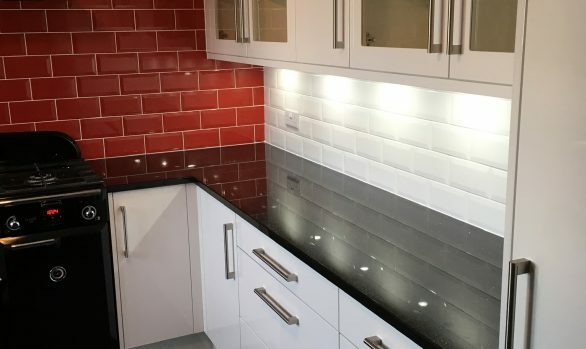 The Kitchen Workshop were very keen to ensure that our builders on-site were able to get everything just right and even called in to go through it with them. This meant that we had no surprises when it came to the installation process, knowing that all services were in the correct position. The installation process went very well and only ended up one day over the planned schedule, which was a great achievement when you factor in all the various aspects that were being done. 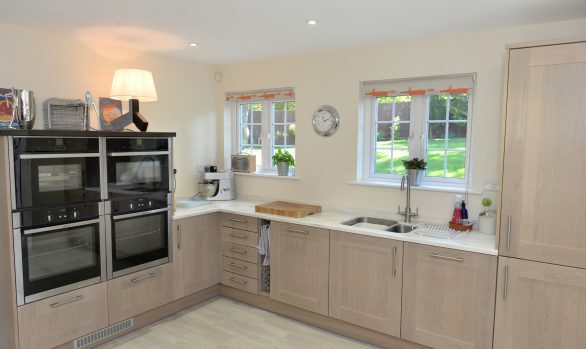 We found our fitter, Marcus, friendly and so tidy — always clearing up and hoovering to keep the disruption to a minimum, which was helpful as our young boys were in the house…. he even let them use his drill and some pieces of off cut wood to build with, which our boys found great fun!